We often hear these days that the center of Christianity is moving toward the Global South and Africa is a key player in that movement. This makes the study of African Christianity and African realities important - even more so when it is being done by Africans themselves in their own context. The Africa Society of Evangelical Theology (ASET) was created to encourage research and sustained theological reflection on key issues facing Africa by and for African Christians and those working within African contexts. The volumes in the ASET series constitute the best papers presented at the annual conferences of ASET and together they seek to fill this important gap in the literature of Christianity.Africa is all too familiar with suffering. Yet there is a dearth of sustained theological reflection on suffering by Africans, or for Africans. 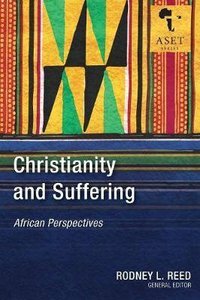 Christianity and Suffering: African Perspectives addresses this need and is the fruit of the 5th Annual Conference of the Africa Society of Evangelical Theology. The contributions address age-old issues like why God does not prevent or relieve human suffering; they wrestle with causes of suffering including witchcraft, poverty, curses, and war; and they also explore appropriate Christian responses to suffering, all from within the African context. About "Christianity and Suffering: African Perspectives (African Society Of Evangelical Theology Series)"